Signing of Memorandum of Understanding between Wayne State University, Michigan, USA and Iraqi Ministry of Health on Friday June 28, 2013. The aim is to train Iraqi physicians at Wayne State University to establish College of Public Health in Iraq for the first time in collaboration with the Ministry of Higher Education and Scientific Research. This entry was posted in Academic Activities of NISA Members on July 8, 2013 by admin. One of the most important criticisms of pebble bed reactor design is that it is impossible to place standard measurement equipment in the pebble bed core. Dr. Muthanna Al-Dahhan at Missouri University of Science and Technology is working on solving that problem, finding a new ways to understand what is happening inside the reactor. Led by Dr. Muthanna Al-Dahhan, chair and professor of chemical and biochemical engineering and professor of nuclear engineering, Missouri S&T is developing new approaches to understanding how nuclear fuelpebbles would behave in what are called “fourth generation” pebble-bed nuclear reactors. These reactors would house uranium fuel in spheres the size of tennis balls (the “pebbles”) rather than rods, and the cores would cooled by helium gas instead of water. These reactors also are considered to be more efficient than water-cooled reactors and would operate at much higher temperatures. Techniques related to measuring and tracking nuclear fuel pebbles and imaging the reactor structure via radioisotopes. A radioisotope is the atom of a chemical that has an unstable nucleus and emits radiation as it decays. Techniques that measure other physical properties, such as movement, heat transfer and gas dispersion. Augmenting these techniques with sophisticated mathematical algorithms, Al-Dahhan creates computer-simulated visualizations that could help engineers plan future nuclear reactors. Using what he calls “gamma ray chromatography,” Al-Dahhan is able to view what is going on inside a reactor core, in much the same way that a physician uses ultrasound equipment to view movement within the human body. “We can visualize the reactor core and the dynamics of how the nuclear fuel particles behave,” Al-Dahhan says. From that data—and via computational fluid dynamics—Al-Dahhan can create models that predict how nuclear fuel pebbles would behave in a pebble-bed nuclear reactor, and how the helium would disperse heat through the process. Using these measurement techniques could help the nuclear industry set benchmarks for determining how to build fourth-generation reactors, Al-Dahhan says. He adds that the techniques could also be used to set benchmarks for other energy-related projects, such as the design of coal gasification plants, bioenergyprocesses or more conventional nuclear plants. While China and South Africa have started building small versions of pebble-bed reactors, the United States has yet to move forward with constructing such plants. In Missouri, Westinghouse Electric Co. announced last October that it would work with Missouri S&T, the University of Missouri-Columbia and the University of Missouri System to explore the feasibility of developing small modular nuclear reactors in the state. The effort also involves Ameren Missouri, which operates Missouri’s only nuclear power plant, the Callaway Energy Center. 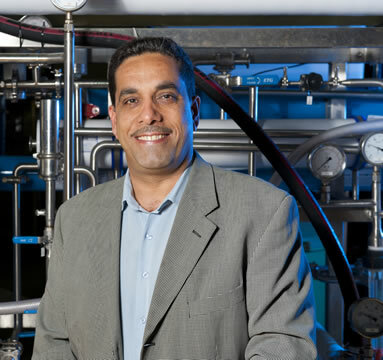 In addition to leading the chemical and biochemical engineering department, Al-Dahhan is a member of Missouri S&T’s nuclear engineering faculty. The nuclear engineering department also manages S&T’s reactor, which was the first built in Missouri, constructed in 1961. The University of Missouri-Columbia also has a nuclear reactor. The pebble bed reactor (PBR) is a graphite-moderated, gas-cooled, nuclear reactor. It is a type of very high temperature reactor (VHTR), one of the six classes of nuclear reactors in the Generation IV initiative. The basic design of pebble bed reactors features spherical fuel elements called pebbles. These tennis ball-sized pebbles are made of pyrolytic graphite (which acts as the moderator), and they contain thousands of micro fuel particles called TRISO particles. These TRISO fuel particles consist of a fissile material (such as 235U) surrounded by a coated ceramic layer of silicon carbide for structural integrity and fission product containment. In the PBR, thousands of pebbles are amassed to create a reactor core, and are cooled by a gas, such as helium, nitrogen or carbon dioxide, which does not react chemically with the fuel elements. This entry was posted in Academic Activities of NISA Members on April 29, 2013 by admin. 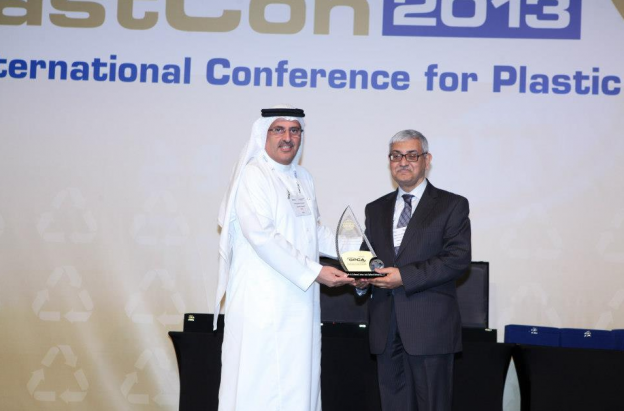 The Gulf Petrochemicals and Chemicals Association (GPCA), announced the winners of its Third Annual Plastics Innovations Awards, held at a gala dinner on the first day of GPCA PlastCon, which started from 7-9 April 2013. The winners were selected by a seven member jury comprising the heads of plastics innovation and application centres of the GCC resin manufacturers, in addition to independent consultants. For the Talent in Plastics- Academics category, Professor Nadir Ahmed from IDVAC Ltd was the winner for his study in the development of gold colour metallized packaging film from silver one without the use of wet chemicals. The process is environmentally friendly and a green technology with no effluent. Metallized films such as PET, OPP, BOPP, CPP as well as paper can be golden coloured in this new process . The awards recognise the efforts in innovation and the achievements made by plastic converters which have had a positive impact on the growth of the winning organisation. According to Professor Nadir Ahmed, the managing director of Idvac Ltd., this award recognise the efforts in product innovation and the continuous achievements made by Idvac for various market sectors including Holographic and Packaging. Since its foundation in 2004, Idvac Ltd. has been a front runner in researching holographic and packaging market demands, developing processes and introducing innovative vacuum process know how and technologies for products such as HRI (ZnS), copper, chrome alloy, gold finish(dry process) and many other coatings to the security and holographic packaging markets. Many companies have benefited from idvac innovative products. This entry was posted in Academic Activities of NISA Members on April 19, 2013 by admin. This entry was posted in Academic Activities of NISA Members on February 28, 2012 by admin. 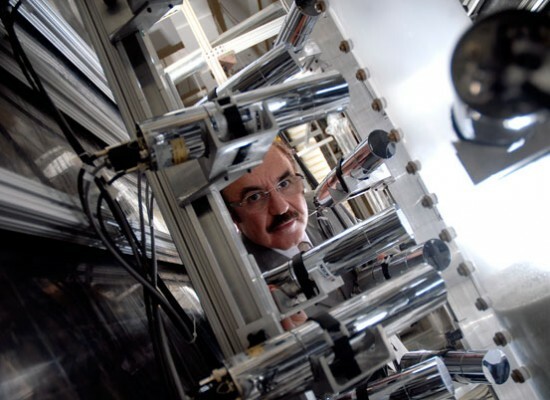 The centre for Osmosis Research and Applications, University of Surrey has been awarded the Queen’s Anniversary Prize. The prize is given in acknowledgement of Prof. Adel Sharif’s outstanding work in water desalination. Click here to read more. This entry was posted in Academic Activities of NISA Members on January 10, 2012 by admin. Professor Riadh Al-Mahaidi wins Chapman Medal from the Institution of Engineers Australia for best journal paper published in structural engineering in 2010. This entry was posted in Academic Activities of NISA Members on December 20, 2011 by admin. This entry was posted in Academic Activities of NISA Members on December 1, 2011 by admin. 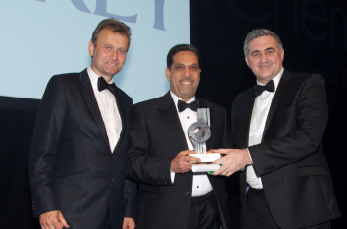 Dr Kadem Al-Lamee has developed the first biodegradable coronary stent which is set to significantly cut the cost of heart disease treatment in the UK and worldwide. Click here to read more. This entry was posted in Academic Activities of NISA Members on November 1, 2011 by admin. Professor Mohamed Al-Rubeai was a keynote speaker at the Stem Cells Europe and BioProcessing, Biologics & Biotherapeutics, Edinburgh Conference Centre, UK, 20-21 July 2011. Professor Al-Rubeai was also invited to present a keynote talk at the 2nd International Conference on Biotechnology Engineering (ICBioE’11), Kuala Lumpur, 17-19 May 2011. This entry was posted in Academic Activities of NISA Members on August 31, 2011 by admin.